It is my friend’s birthday today. I picked up the phone and wished him. While talking on the phone, we tried to relive our past of climbing trees and eating green mangoes. Staring out of the window, there it is, a bunch of green mangoes, between the delicate white flowers of Jamun tree, and the light yellow spotted flowers of the Tamarind tree on the compound wall of our society. I have looked at them almost every day since the past one month, but have no courage to do anything to get them. We, as kids, have often climbed these trees and thrown stones so as to drop some mangoes and almost always gotten scolded by adults. As an adult, I now continue this tradition of scolding the kids for doing so! As I look out, there are a few kids from the block who have gathered around the tree with sticks and stones. It is a Sunday, a good day for them to get the mangoes down. Some have even climbed the tree. I walk down towards the tree, they all move respectfully to let me pass. I hesitate. These are the same kids to whom I had scolded telling them to leave the mangoes alone only a few days ago. I turn back to return upstairs. Then I look around my building to make sure no one is watching. I muster courage to talk to these kids. I ask the taller one if I could join them. I suggest I could climb the tree and get some mangoes. He looks surprised. Then his gang goes into a huddle. Obviously my height advantage must have gone in my favour, so would my adult status and the possibility of a good laugh if I fall. They come back beaming. I climb the tree. I am rather awkward, I get a few scratches, I slip, but I persist encouraged by the gang. This climb is after a gap of several decades. By now the word has spread. Every window and balcony is full of people discretely peeking out to see what I am up to and laughing. 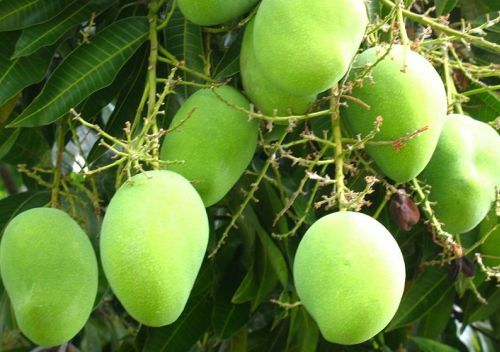 I manage to rest on a branch and lift the stick to hit the bunch and along with the mango, comes the shattered glass of my own window. Now every one laughs loud and the neighbours are out in the open. Shall I tell you something, it did not bother me. I did not feel troubled, or insulted. In fact I laughed too. To slip or cut myself or to not get what I want is not new to me, at my age. Being able to give up my inhibition, my self declared greatness, my ego, and join the gang, be one of them, felt great not just by me but by them too. It was totally worth it. I grew a few decades younger and the trees grew more significant in my urbane life.